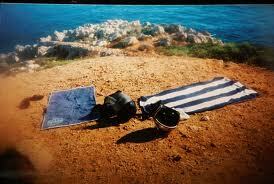 Nice is the first experience of the renowned Cote d'Azur for many tourists. In spite of modernization, the city retains its medieval heritage in the atmospheric Vieille Ville (old town), with its closely packed red-tiled roofs and narrow winding streets packed with shops, bars and fabulous restaurants. The glamorous city of Nice is located on the glitzy French Riviera. Famous for its beautiful beaches, warm Mediterranean seas, arty culture and upmarket lifestyle, Nice attracts an upmarket crowd of visitors who flock to France’s Cote d’Azur. As well as the beaches, elegant shops and mouth-watering cuisine, Nice has many cultural attractions and art galleries to explore. The flying time to Nice from the UK is just under 2 hours and there’s a great selection of airlines to choose from. If you’re looking for low cost flights to Nice, France, try easyJet or Flybe. For direct flights to Nice, BMI and British Airways both offer frequent and direct services. Nice and the French Riviera attracted artists from across Europe with its stunning Mediterranean views and famous shades of daylight. The many art galleries in Nice bear testament to the amazing group of painters who were drawn to this area. Don’t miss the Museum of Fine Arts (Musee des Beaux Arts) with its superb collection by Raoul Dufy, famous for his colourful French Riviera paintings and also pictures by Monet and sculptures by Rodin. The Museum of Modern and Contemporary Art is also worth a visit and is home to some great pop-art pieces by Andy Warhol. Nice also boasts some impressive historic buildings including the 16th Century Fort du Mont Alban with beautiful views along the coast, Nice’s Old Port with it’s colourful 18th Century architecture including the Notre Dame du Port church, the exotic domed Russian Orthodox Cathedral and the narrow maze of alleyways in the Old Town. One of Nice’s most popular attractions is the palm-tree lined Promenade des Anglais which stretches for almost 4 miles along one of Nice’s most famous beaches the Baie des Anges (Bay of Angels). The centre of Nice life, the Promenade is perfect for a stroll along the sea front and is popular with rollerbladers and cyclists and for those who just want to sit and admire the beautiful views out to sea. With airlines releasing special fares and offers through the year, it is usually possible to find some superb prices on cheap flights to Nice, France. As Nice and the South of France get very busy during the summer months, it’s wise to avoid travelling during this time if you’re after the cheapest flights to Nice, France. For the cheapest prices on lastminute flights to Nice, France, try to book outside of the peak periods such as bank holidays and school holidays. 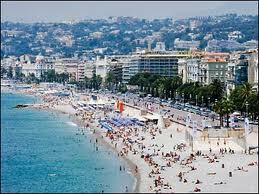 Nice has a typically Mediterranean climate with hot summers and mild winters. During the hottest summer months, particularly in August, temperatures often reach excesses of 86F (30C), while maximum temperatures in winter are usually between 50-59F (10-15C). October is usually the wettest month.